Reliance JioPhone 2 Vs JioPhone: What’s new in the latest feature phone? 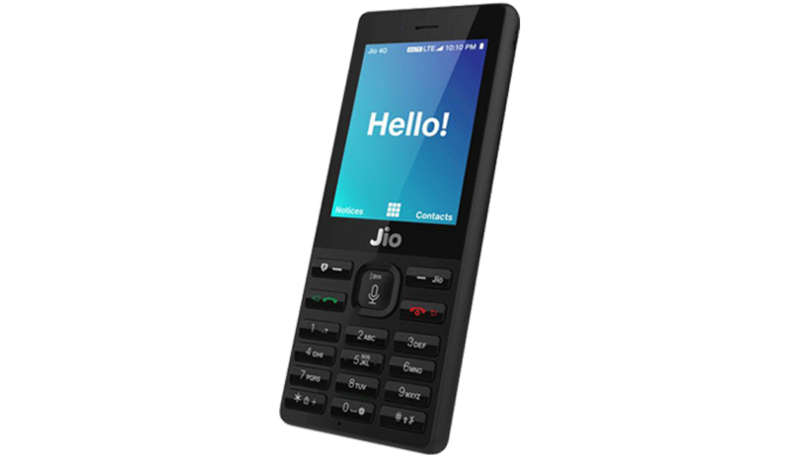 Reliance Jio today announced JioPhone 2 the successor to its last year’s feature phone. 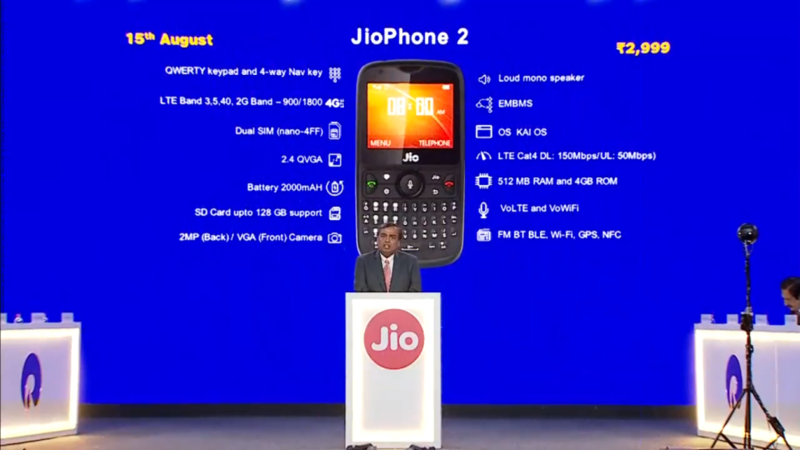 The JioPhone 2 will be made available in India starting August 15 at a price of Rs. 2,999. The new JioPhone comes with a refreshed design and some new features. Here we have written a detailed comparison between the JioPhone 2 and its predecessor JioPhone. The main difference that you can see in the new JioPhone 2 is its design language. It is completely different from JioPhone in terms of design and looks more like the BlackBerry phones. It has a QWERTY keypad with a 4-way navigation key. While both the JioPhone 2 and JioPhone have the same 2.4-inch QVGA display. The JioPhone 2 and JioPhone both come with the same camera features. 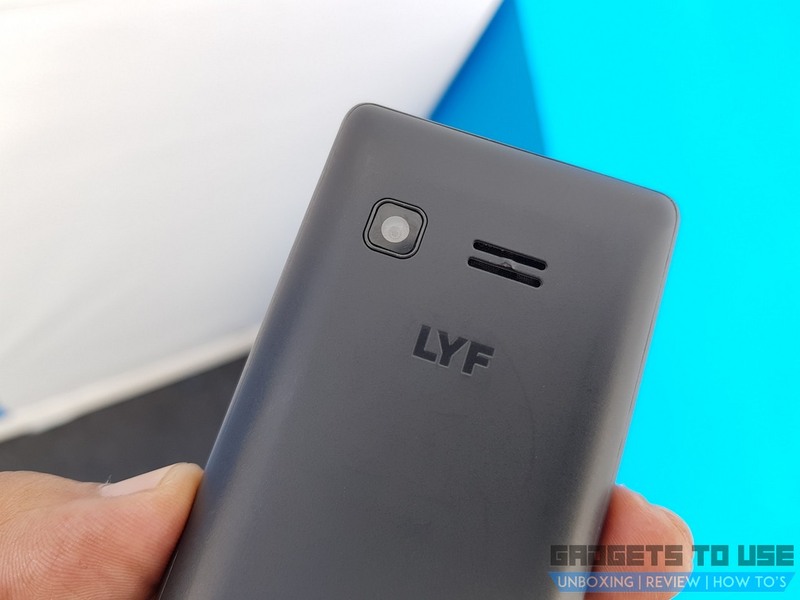 They both feature a 2-megapixel rear camera and a 0.3-megapixel (VGA) front camera. Both the feature phones are also capable of video recording. In terms of connectivity, JioPhone 2 comes with some new features. Notably, it supports dual SIM support while JioPhone has only single SIM support. Another new feature in JioPhone 2 is VoWi-Fi which is voice calling over Wi-fi network. Other connectivity features are the same including 4G VoLTE, FM radio, Bluetooth, Wi-Fi, GPS, and NFC. JioPhone 2 comes with Dual SIM support while JioPhone supports only single SIM. On the software front, both the feature phones run the same Linux based KaiOS which is made by Mozilla. In terms of battery, both the phones pack a 2,000mAh battery. 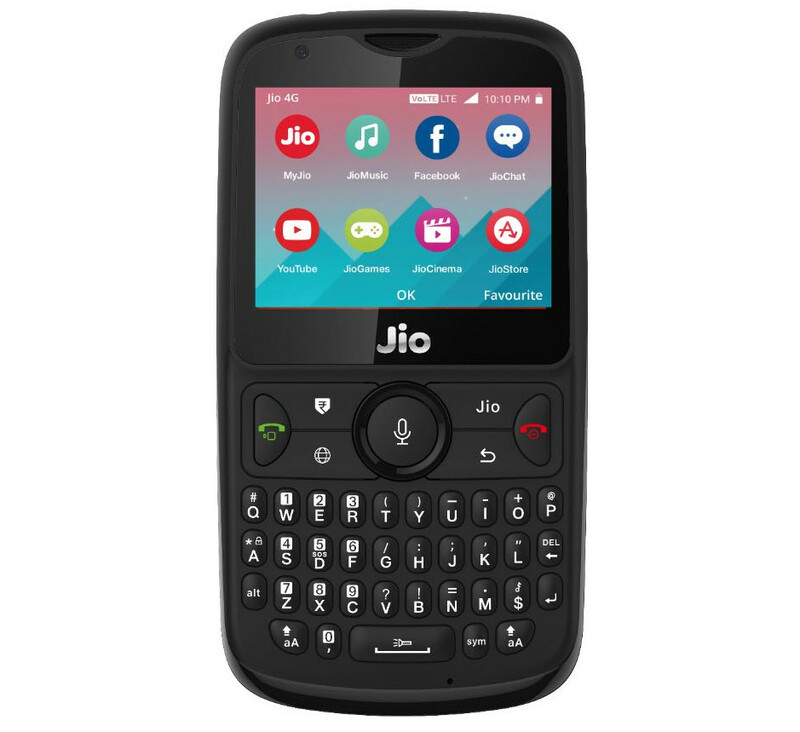 both the JioPhone 2 and JioPhone come with preloaded JioApps like MyJio, JioMusic, and JioTV etc. 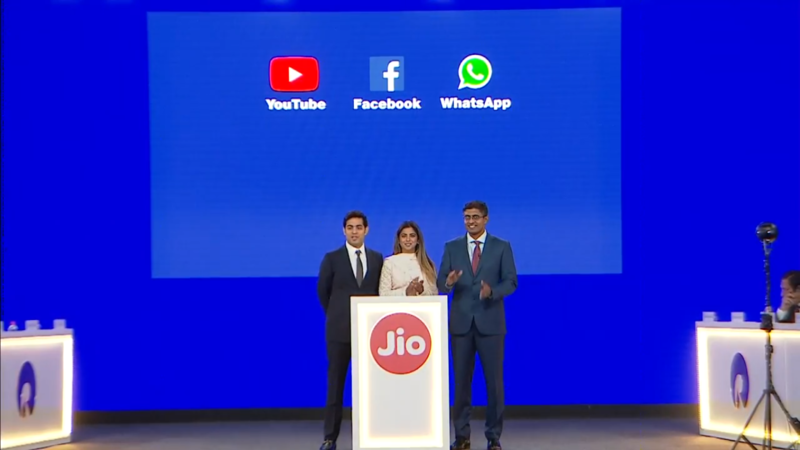 However, wth the JioPhone 2, the company has announced the support for popular social networking apps like Facebook, YouTube and WhatsApp. The company has announced these apps’ support to JioPhone as well. In terms of hardware, both the JioPhones come with the similar dual-core Spreadtrum processor. They also offer the same capacity of RAM which is 512MB of RAM and similar 4GB of internal storage. They both support microSD card expansion up to 128GB. The JioPhone is effectively free and it can be purchased with a security deposit of Rs 1,500 which is refundable after three years. While the JioPhone 2 will be available at a price of Rs 2,999. However, Reliance Jio hasn’t announced any similar refundable scheme for the new JioPhone 2 as of now.